In a StateTech article, Minnesota’s CIO Thomas A. Baden Jr. explains how incremental development, a customer-centric approach, and other agile methods have helped the state serve citizens better. Minnesota’s IT teams are focused on the needs of citizens and how agile methodologies allow those needs to be addressed efficiently. Agile methodology calls for an iterative approach to technology projects, with continuous testing and integration. The idea has transformed Minnesota’s technology vision for the future . 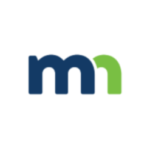 . .
Minnesota IT Services provides enterprise and local IT services on one secure network to 87 counties, 300 cities and 200 public higher education campuses. But we do not work in IT for IT’s sake. We work to help those citizens who depend on state services in their daily lives. We realize our customers are Minnesotans who need our services to support themselves, their families and their work. Agile methodology provides flexibility at the local level, helping us achieve greater reliability and a higher level of service.